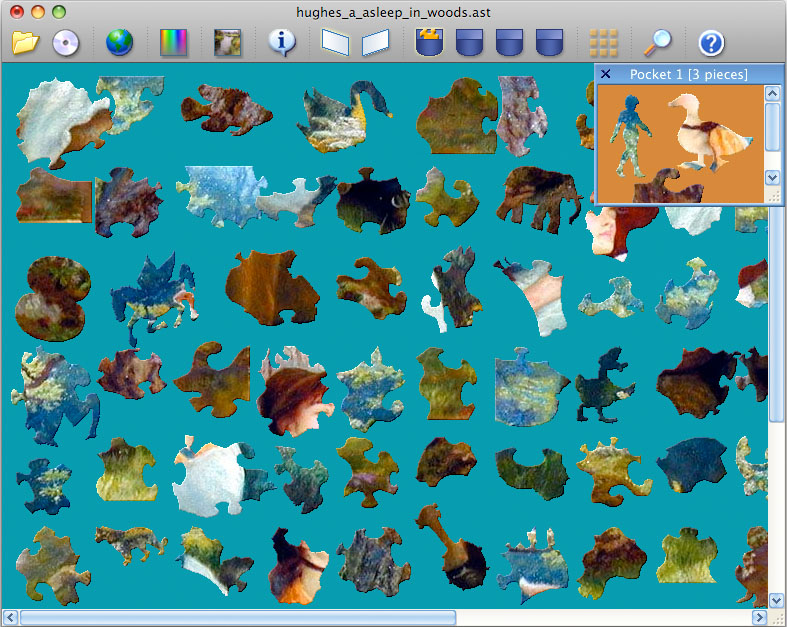 UDM Downloads > Astra Jigsaw Art Edition for Mac OS! Astra Jigsaw Art Edition is a relaxing jigsaw puzzle game including 100+ puzzles. Intricate pieces are shaped after the fashion of antique jigsaw puzzles. Each piece can have up to 9 neighbors rather than usual 4 which makes playing quite a challenge. You are able to change the number of pieces, to choose one of 4 shape styles, the most interesting of which is the Figure style. Rotation of pieces can be on or off as well as the picture frame. To make playing convenient, you can use two main windows and four pockets for storing and arranging pieces. Select a group of pieces to move or arrange them quickly. To examine small pieces, use the Magnifying Glass.